It's the time of year when Hollywood trots out it heavyweights. “A Star Is Born” is in. “First Man” could be in. “BlacKkKlansman” and “Black Panther” should be in. It’s November, and in the next few weeks, the final group of aspiring Oscar contenders will arrive in theaters. Judging by recent history, that’s prime contention time. Last year, seven of the nine best picture nominees launched their domestic theatrical runs in November or December. Working for it: “Green Book” unexpectedly eclipsed higher-profile movies to win the Toronto Film Festival’s People’s Choice Award, and early motion picture academy screenings have generated similar enthusiasm. It has all the makings of a commercial powerhouse when it arrives in theaters for Thanksgiving. No amount of tryptophan will keep your in-laws from crying when the credits roll. Working against it: Some critics – and there will be outspoken ones – will find the film’s treatment of race simplistic. Being compared to “Driving Miss Daisy” isn’t as bad as likening your movie to “Crash” … but it’s close. The story: A lady (Rachel Weisz) and a servant (Emma Stone) jockey for the favor of Queen Anne (Olivia Colman) in early 18th century England. Working for it: Directed by Yorgos Lanthimos (“The Lobster,” “The Killing of a Sacred Deer,” “Dogtooth”), “The Favourite” subverts the historical costume drama at every step, brandishing a stinging wit and joyful decadence. Backstabbing has never been more fun to watch. Working against it: It’s Lanthimos’ most accessible film, but that doesn’t mean everyone will be into his idiosyncratic flourishes. Anyone who found “Downton Abbey” to be occasionally a bit on the naughty side will be poleaxed by this. Working for it: Alfonso Cuaron’s (“Gravity,” “Children of Men”) achingly beautiful tribute to the women who cared for him in his youth floored festival audiences in Venice, Telluride, Toronto and London. Once they begin handing out prizes, look for critics groups to coalesce around Cuaron’s movie. They might even create new awards just to find more ways to celebrate it. Working for it: Barry Jenkins’ follow-up to the Oscar-winning best picture “Moonlight” earned raves at its Toronto premiere for its sensitive and potent adaptation of James Baldwin’s novel (and was the runner-up, along with “Roma,” to “Green Book” for Toronto’s People’s Choice prize). In its depiction of black love – between a man and a woman, between friends, between family, between community members – “Beale Street” feels as necessary as its predecessor. Working against it: After “Moonlight,” expectations could burden this movie, which gorgeously unfolds in a nonlinear approach that could prove off-putting to older academy members averse to flashbacks of the nonacid variety. Working for it: Steve McQueen’s first film since “12 Years a Slave” is easily his most commercial effort. But it’s no mere heist movie. 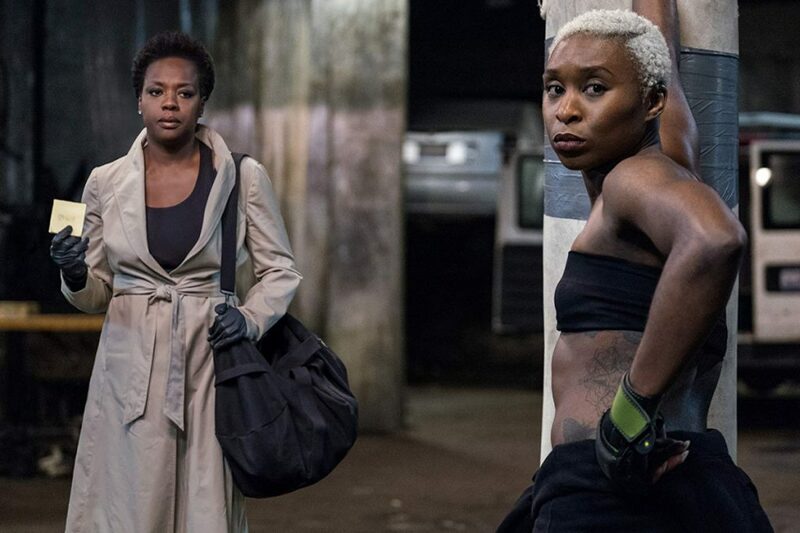 “Widows” takes on toxic men, a broken political system, the widening chasm between the privileged and the poor and a world in which anything – and anyone – can be bought and sold. All these elements are baked into a crowd-pleasing thriller that has been producing gasps and cheers at academy and guild screenings in recent weeks. Working for it: Writer-director Adam McKay won an Oscar two years ago for “The Big Short,” his scathing, freewheeling indictment of Wall Street and regulatory irresponsibility. The idea of McKay training his moral outrage toward Cheney and Bush will have many in Hollywood sharpening their pitchforks with glee. Working against it: For some, a tax audit notice would be preferable to a movie centered on politics, much less Cheney. Also: Its late arrival – the movie won’t begin screening until mid-November – will have it scrambling for traction with voters. In other words, it’d better deliver. Working for it: Two Oscar-nominated actresses – Saoirse Ronan in the title role and Margot Robbie playing Elizabeth – plus a nuanced exploration of what it means to be a woman in power. Working against it: It’s more conventional than “The Favourite” and may suffer by comparison when critics’ groups gravitate toward Lanthimos’ film. The story: Biopic of Supreme Court Justice Ruth Bader Ginsburg (played by Felicity Jones) centers on a landmark case focused on gender discrimination. Working for it: The commercial success of the extraordinary Ginsburg documentary “RBG” shows there’s an appetite for this kind of film. Working against it: “RBG” might have satisfied that appetite, making this movie redundant. Working for it: The needles-and-pins trailer for this Eastwood-directed thriller, costarring Bradley Cooper, looks fantastic. (The film hasn’t screened for press yet.) The last time Eastwood and Cooper teamed was “American Sniper,” and that turned out pretty well for all involved.